If I had any type of preference when it comes to jewelry, I'd say it'd be an inclination towards necklaces. They're the item of jewelry I wear and own the most of. I usually prefer pendant styles though I have recently discovered a penchant for statement necklaces as well. The newest addition to my collection is this pretty sterling silver branch necklace which was gifted to me by Blue Nile. It's become a fast favorite since the modern chic aesthetic of this delicate style makes it such a versatile piece that works well with both casual and dressy outfits. 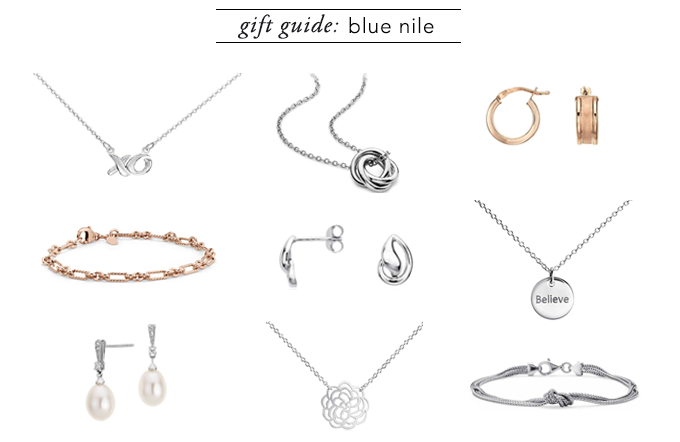 In the holiday season spirit of giving, Blue Nile sent me a second necklace in a lovely blue gift box to give away to one lucky rolala loves reader. It would make a lovely gift for yourself or someone special. You can enter through the Rafflecopter widget below. This giveaway will run until midnight December 16th. Good luck! In case you didn't know, Blue Nile is the largest online retailer of ethically sourced certified diamonds and fine jewelry. They are also a fantastic gift resource for affordable jewelry. I've rounded up some stylish picks that are all under $75. And you can save 10% storewide with the code BNHH10 until December 31st. Oh what a pretty necklace! And all the other items look lovely as well. Good luck everyone! Have a good Friday, Rowena! What a pretty giveaway doll. Have an awesome weekend. Very beautiful and simple. I have come to love simple piece of jewelry lately. Have a good and warm weekend Rowena. Very nice giveaway dear! Sorry, I have no time to enter right now, but hopefully I can get back soon! great giveaway~ i love the Polished Ball Earrings in 14k White Gold! i love blue nile! lol believe it or not, i got my engagement and wedding rings from there. they really have excellent customer service and quality products. Cute! Not entering but I really like organic/nature inspired jewelry. My favourite is this necklace! Maybe would like to follow each other on GFC, Bloglovin, fb? I love how dainty and delicate this necklace is, very refined and pretty! Your comment meant a lot to me...Thank you dear. My favorite item is the Mini Dove pendant in sterling silver! Very pretty pieces. 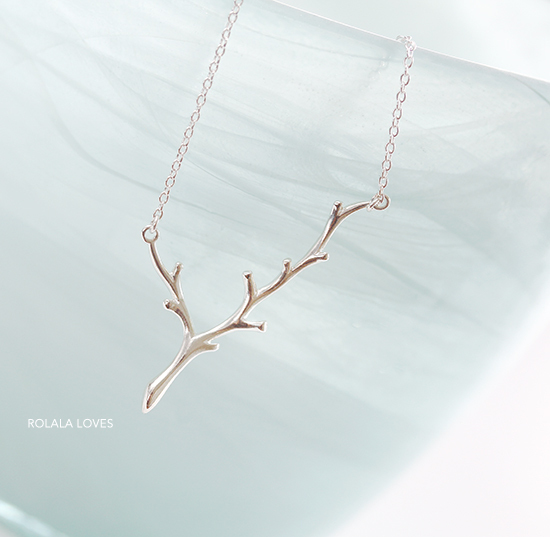 I love the unique, earthy yet elegant design of the branch necklace. They are so pretty! Love the necklace! That's such a cool necklace. Good luck to the winner..I entered! I'm definitely more of a necklace girl as well, although for me, it's statement necklaces or nothing :) I've had my eye on a necklace very similar to the one that you're giving away, except that it's a full tree. I love the silver version and how beautiful it looks photographed. im inlove with that cool necklace! 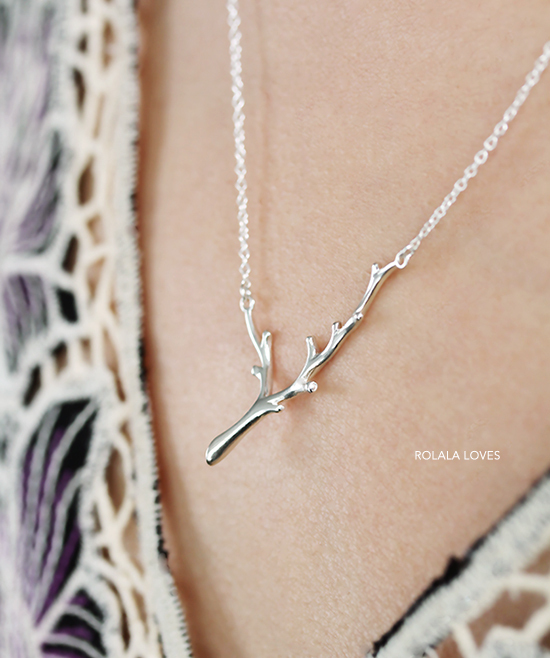 The branch necklace that you chose is my favourite of them all. It's very unique and I've never seen it in any stores before. You have good taste! They have great items! Love that necklace! Great giveaway. That necklace is beautiful. LOVE their jewelry. Great giveaway, miss! I love the emerald cut halo double drop earrings! i love the Arrow Necklace in Rose Gold Vermeil! Love this giveaway. The branch style necklace is so pretty and very unique. Great give away I love the style of this necklace its so casual and would be great with everyday wear. I would love to win this.